A Library of Examples! – World Famous Electronics llc. Home › A Library of Examples! 🤓 Install our Arduino Library for a collection of our most popular and most up-to-date code examples! This video shows you the best way to install the PulseSensor.com code examples. Pro Tip: You don't need GitHub.com to download our code anymore. 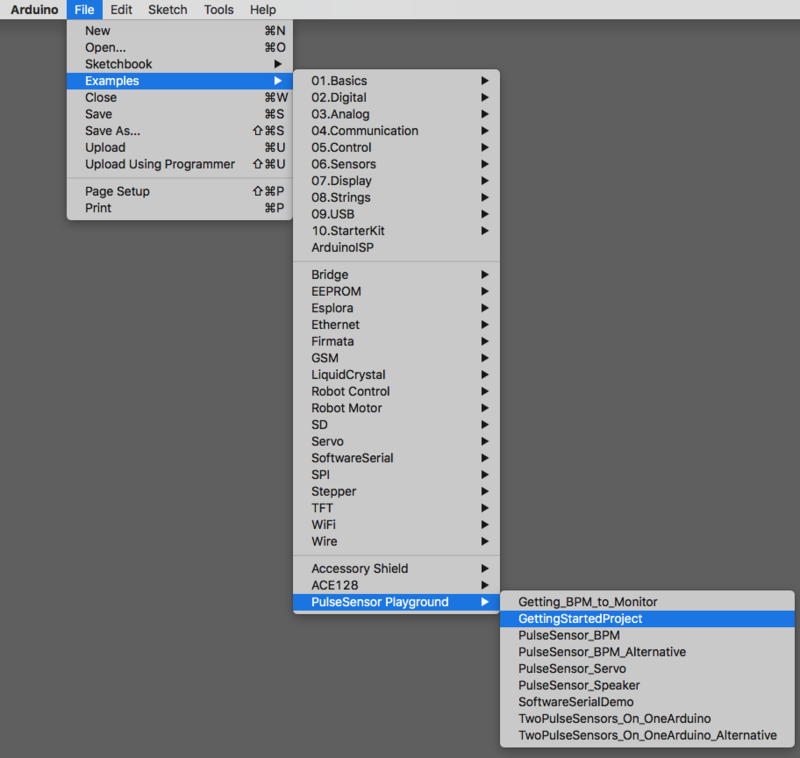 Use the Arduino IDE for stable and tested code. An Arduino Library is a collection of code and examples on a specific topic or device. 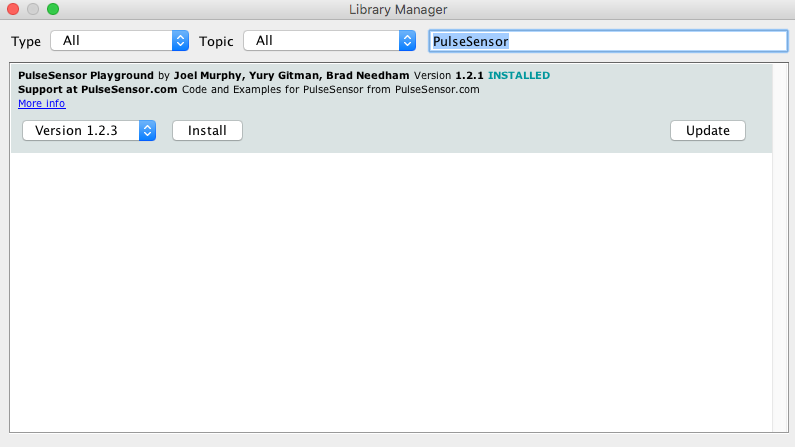 For example, our PulseSensor Playground Library is a collection of code and projects made just for your PulseSensor and Arduino. Hurray! Once this library is installed you will see our examples in Arduino's dropdown! 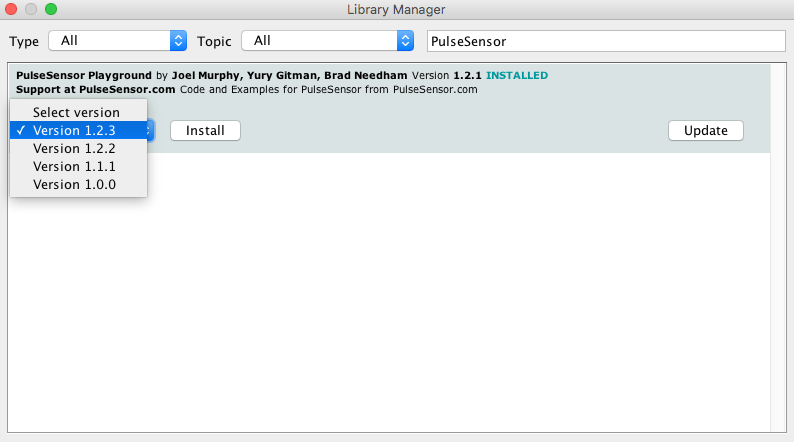 To select an example project, go to: `File > Examples > PulseSensor Playground > GettingStartedProject`. More Info On Libraries in General 👉 https://www.arduino.cc/en/Guide/Libraries.